A “good” smile is often only a dream for those with less-than-perfect smiles. Many times, men and women go through life ashamed of the condition or alignment of their teeth and sadly hide whatever smile they might have. To help Minnesotans find their dream smiles, Dakota Dental is offering an Invisalign dental services special during the month of May: $500 off plus free retention for the first year and free professional teeth whitening. At the Dakota Dental Apple Valley Invisalign center, Dr. Shelley Wakefield and Dr. Bennett Isabella understand the impact a smile has on their patients’ lives. They believe it is essential to enhance a smile through Invisalign cosmetic dentistry rather than try to hide it. After a very minimally invasive Invisalign smile makeover, most Dakota Dental patients feel better about themselves, regain their self-confidence, and smile more! At Dakota Dental family dentistry, obtaining a smile makeover is possible with only five simple steps. The first step is to call and schedule a free initial consultation. At this appointment the patient will discuss dental health concerns as well as desired smile results. A dental procedures treatment plan will be outlined including length of treatment, cost of Invisalign, and insurance or payment options. 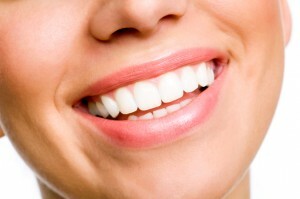 The second step is to schedule an appointment for digital records to be collected by the dentists in Apple Valley, MN. From thorough photographs to digital x-rays to custom impressions, Dakota Dental strives to obtain accurate and complete information to best plan a detailed outline for tooth movement. Step three is to have Invisalign aligners custom designed and then be fitted with them at the dental office near Apple Valley, MN. The fourth step builds on the third: consistently wearing aligners except while eating or drinking. Step four also includes ongoing dental checkups and delivery of new aligners at each phase of teeth straightening. The final step, step five is celebrating, enjoying, and maintaining a beautiful new smile! Stop dreaming and start living the dream by contacting the experienced family dentists in Apple Valley, MN (who’ve earned the distinction of “Preferred Providers” for Invisalign for 2010, 2011 and 2012!) There is never a better time than now to make picture-perfect smile dreams come true.